Lets face it, every single one of us would love to be more accurate. Whether it's hitting more fairways, boosting that greens in regulation percentage or being able to lag putts to tap in distance more often - we've all got something in our game that needs a little bit of attention. Hitting fairways and greens is the bedrock of a solid score; you'll never score well if you're constantly chipping out of the trees or trying to get up and down for par. 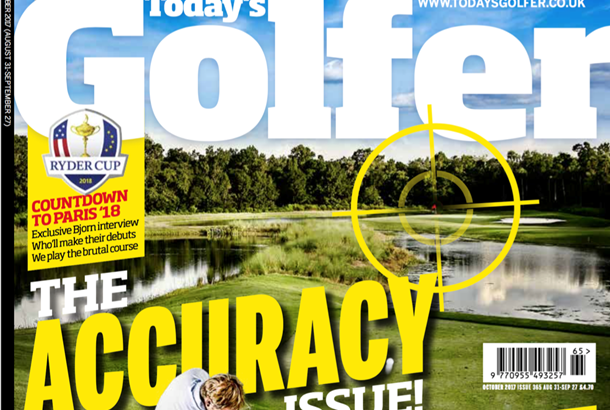 That's precisely why (with a little helpful advice from Rickie Fowler and TG's top 50 coaches) this month's issue of TG focuses on helping you with your accuracy. But that's not all! From seeing the UK's tallest man get fitted for record-breaking golf equipment and talking golf with the Harry Potter Weasley twins (Chris and Oliver Phelps), there's plenty of reasons to be picking up our latest issue. 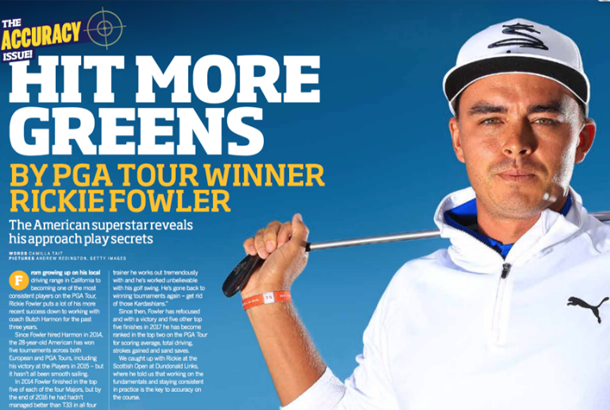 He's one of the leaders in much of the PGA Tour stats this year, so who better to come to advice to than Rickie Fowler? We caught up with him at the Scottish Open, where he gave shared with us some brilliant tips on how to be more accurate with your iron play and decide those percentage plays. Standing at 7ft 7, you might be surprised to hear that Paul Sturgess is pretty good at golf. In fact, the former Harlem Globe Trotter and soon to be Hollywood actor plays off single figures - but he's always had a normal sized set of golf clubs. 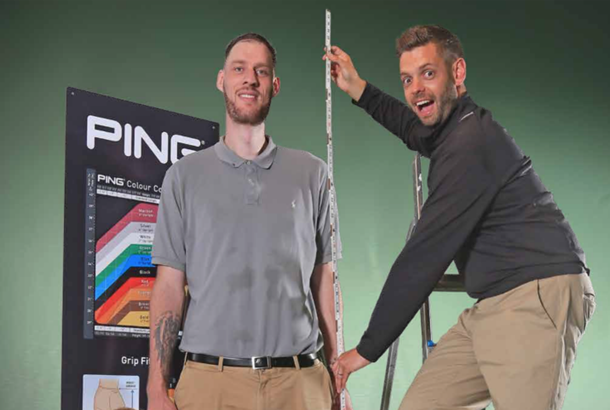 We went down to Ping HQ to find out a little more about him as he got fitted for a brand new set of clubs - that even broke a record! 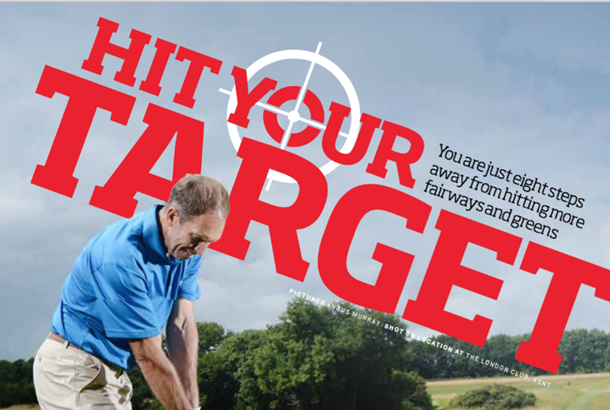 Our TG Top 50 coach Scott Cranfield talks you through an eight step guide to becoming more accurate in hitting your target. From improving your clubhead stability at impact to working on distance control - there's plenty of advice to help you hit far more fairways and greens. 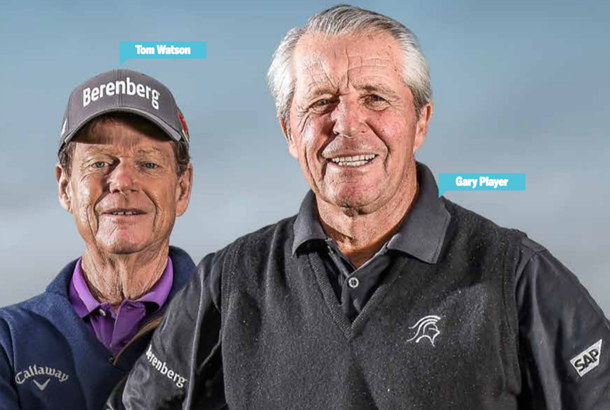 Gary Player, Tom Watson, Fred Couples, Tom Lehman and Bernhard Langer are legends of the game. Between them, these five gentlemen have won a staggering 48 majors! We were lucky enough to sit down with them to find out a bit more about how their experience could help you! 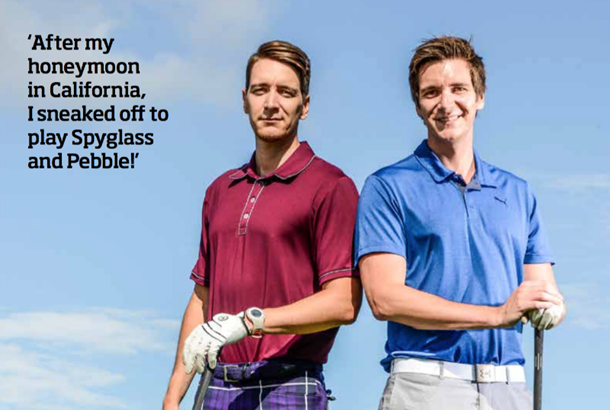 When James and Oliver Phelps were on the set of Harry Potter they weren't allowed to do any sports that could cause them injuries - which led them to fall in love with golf. Read all about how they fit golf around filming Harry Potter, and which brother is better! 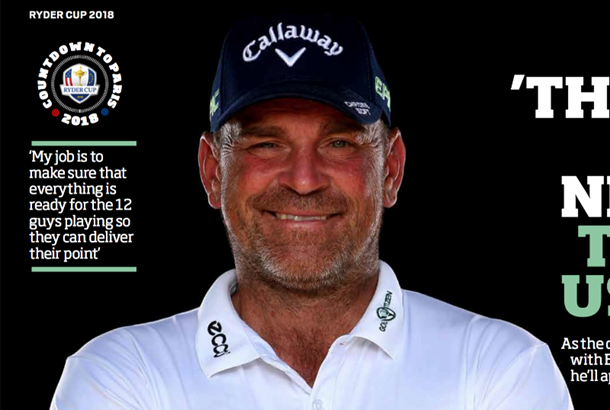 As the qualifying process starts for Paris, we sat down with European team captain Thomas Bjorn to find out how he'll approach the job of bringing the Ryder Cup home and why he thinks Le Golf National will be one of the best to stage the Ryder Cup. Ping's G400 driver has gone down a storm both on tour and with regular golfers, and it's no surprise given that it is more aerodynamic than ever and sounds better than a Ping driver has for years. But how does it compare with two of the best-selling clubs of 2017 (and the two longest drivers we've hit?). 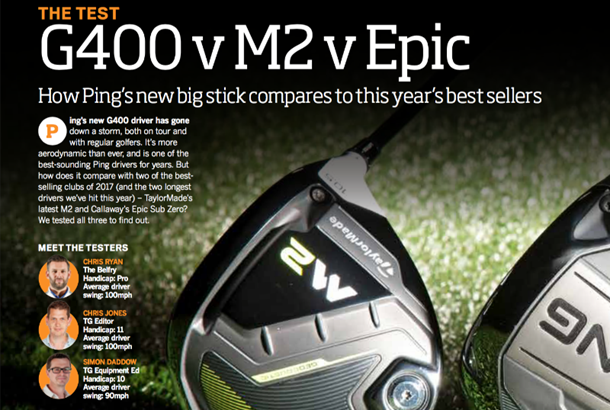 We put the Ping G400 up against the TaylorMade M2 and the Callaway Epic Sub Zero. Are you ready for a challenge? 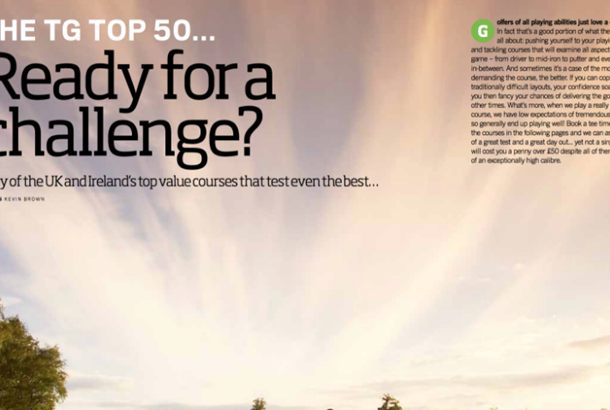 We take a closer look at 50 of the UK and Ireland’s top value courses that test even the best. Book a tee time at any of the courses in the following pages and we can assure you of a great test and a great day out... yet not a single one will cost you a penny over £50 despite all of them being of an exceptionally high calibre. 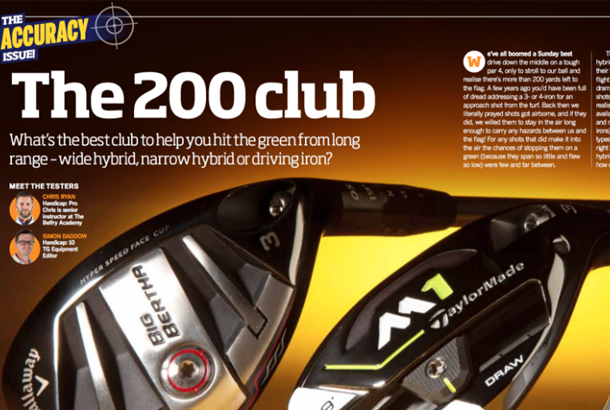 Should you be using wide hybrids, narrow hybrids or driving irons as your 200+ yard club? We've put them all to the test. Read our verdict to find out which one will help you become far more accurate from a long way out! 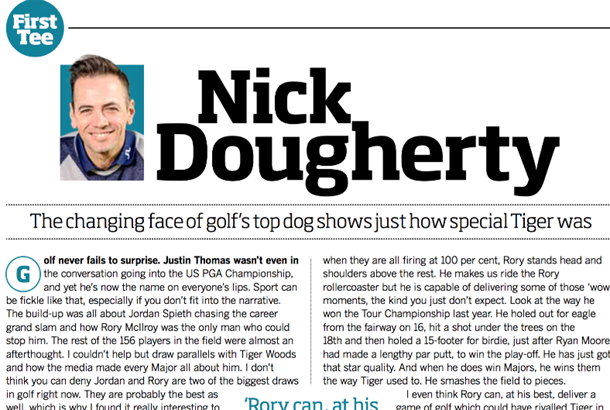 In his latest column, TG Columnist Nick Dougherty explains why the constantly changing face of golf's top dog shows just how special Tiger Woods was. Focusing on how we should stop pining for an undisputed World No.1, Dougherty thinks the time where a player could dominate like Tiger is long gone. 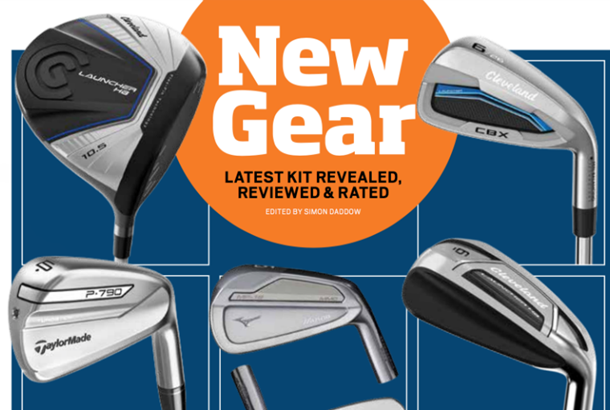 Everything you need to know about TaylorMade's foam-filled P790 irons, Cleveland's Launcher driver and cavity wedge, Mizuno's tech-packed MP-18 range and Srixon's AD333 golf ball. 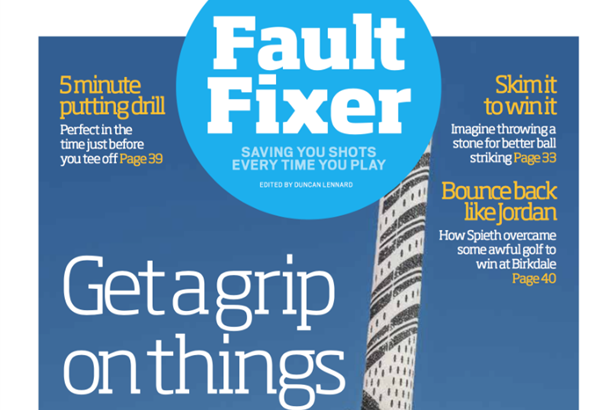 With top tips from our TG Top 50 coaches that covers everything from a five minute putting drill to learning a new routine for finding a better grip, there's plenty of advice to help you fix you with some of golf's basic problems. 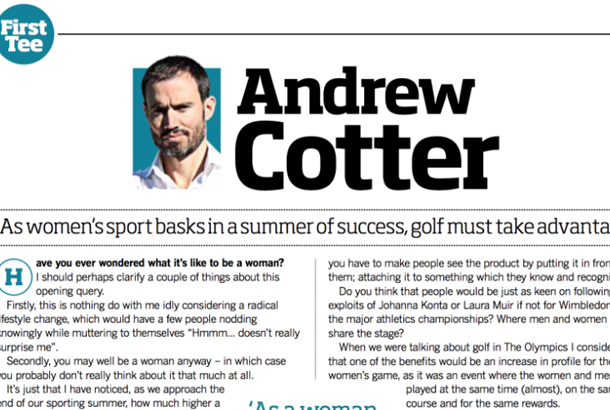 In his latest TG offering, Andrew Cotter focuses on Women's golf, women's sport- and the problem it faces. Cotter says while other Women's sports have commanded a larger share of the coverage this summer, the future of women's golf is unstable. Find out why he thinks it's a problem we shouldn't ignore!